Screen superstar Vivica A.Fox (Independence Day, Kill Bill) stars in the sci-fi thriller CROSSBREED, invading VOD this February Uncork’d Entertainment. Marine takes on monster in an action-packed throwback in the tradition of Aliens and Escape from New York. In the near future, the President of the United States of America hires a team of military veterans to retrieve an alien bio-weapon from a top-secret research facility orbiting the Earth. These highly trained mercenaries must infiltrate the space station and recover the deadly experimental alien cargo located onboard. All is going according to the plan until the cargo escapes. Daniel Baldwin (John Carpenter’s Vampires), Stink Fisher (“Gotham”), Devanny Pinn (Party Bus to Hell), and Vernon Wells (Commando) star in a Brandon Slagle film. Check out the clip below called 'This Guy's Got A Rep' and below that the trailer to CROSSBREED. 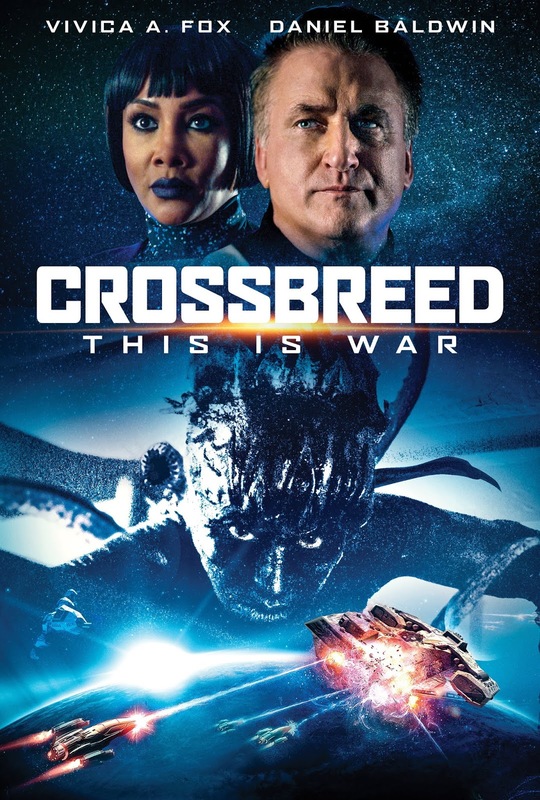 CROSSBREED is out now on VOD and comes to DVD and Blu-ray 5th March 2019 from Uncork’d Entertainment.